Xiaomi has now launched a new beast of the smartphones and is calling it as a gaming smartphone specifically made for the mobile gamers. This new device comes with an inbuilt CPU liquid cooling system that helps reducing the CPU’s core temperature by up to 8-degree while playing games. It also comes with a dedicated One-touch SHARK key to enhance the gaming experience of its users. It comes with everything that a mobile gamer needs - from a deadly CPU to a huge amount of RAM and battery that is needed for a gaming device to work like a beast. The Xiaomi Black Shark comes with a dedicated image processing chip from Pixelworks that provides intelligent motion compensation technology, image enhancement and dark scene detail processing useful for smooth video quality while gaming. The device comes with a ‘X-style’ unique antenna design for an excellent network signal quality even while holding the phone vertically or horizontally. The device also comes with a gamepad (sold separately) that can be attached to the side of the phone and weighs just 40 grams. 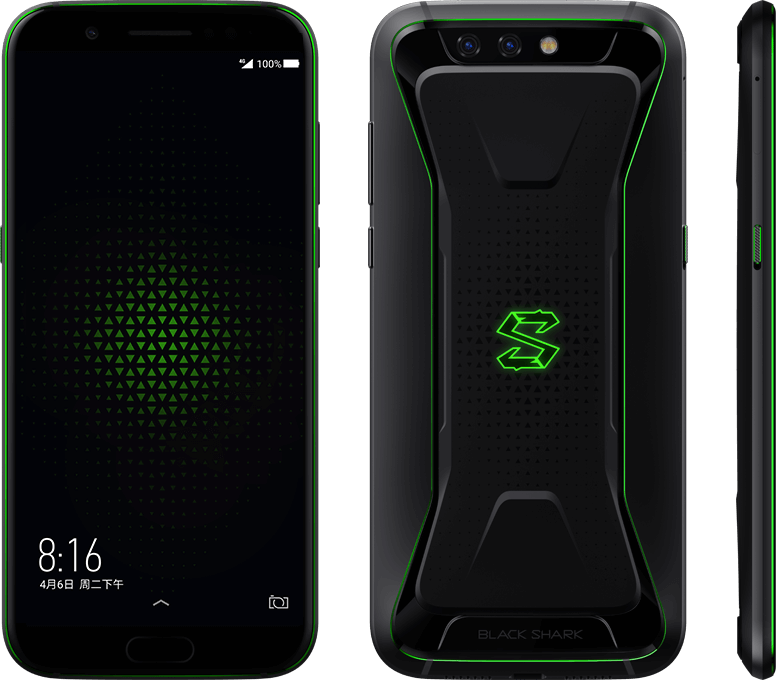 The Black Shark gaming phone is priced at 2999 yuan (around $477) for the 6GB RAM + 64GB inbuilt storage option and 3499 yuan (around $557) for the the 8GB RAM + 128GB inbuilt storage variant. The Gamepad is priced at 179 yuan (around $29). The phone and gamepad will be available for pre-order from today via JD.com in China and will be available for sale starting from April 20th. It comes with Polar Night Black and Sky Gray color options. 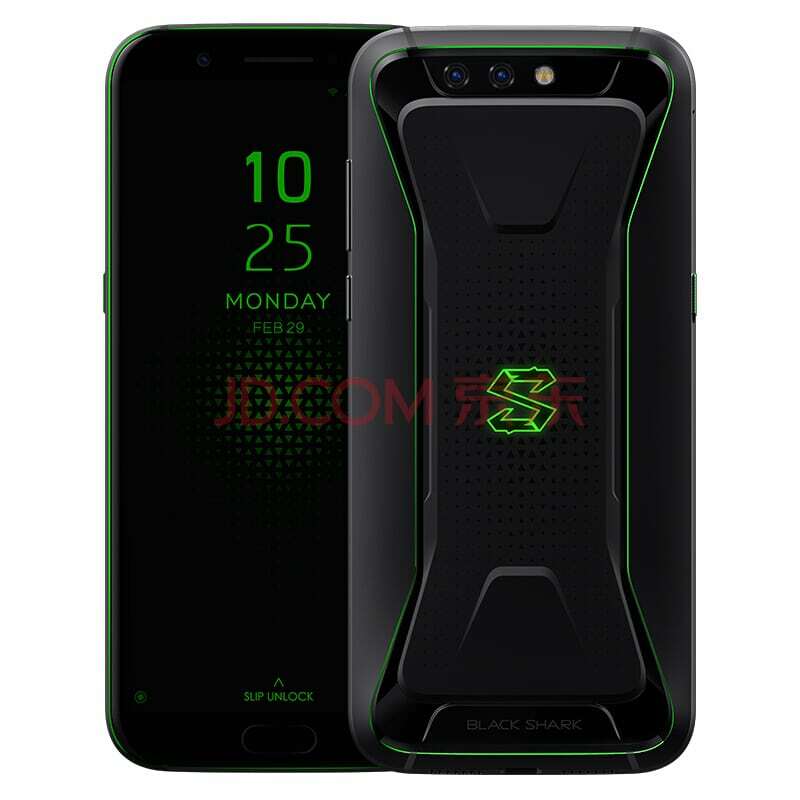 The Xiaomi Black Shark features a 5.99-inch Full HD+ 18:9 display with 97% DCI-P3 color gamut, 550 nits brightness and 2160 × 1080 pixels resolution. It is powered by a 2.8GHz Octa-Core Snapdragon 845 64-bit 10nm Mobile Platform with Adreno 630 GPU. It comes with 6GB of LPDDR4x RAM + 64GB (UFS 2.1) internal storage and 8GB of LPDDR4x RAM + 128GB (UFS 2.1) of internal storage capacity with no option expand the storage with MicroSD card slot. It runs on the Android 8.1 (Oreo) and supports Dual SIMs. It features a dual rear camera with a 12-megapixel rear camera with f/1.75 aperture, 1.25µm pixel size, dual-tone LED flash along with a secondary 20-megapixel rear camera with 1.0µm pixel size and f/1.75 aperture. It also has a 20-megapixel front-facing camera with 1.0µm pixel size, f/2.2 aperture. It has a 4000mAh battery with Quick Charge 3.0 support and comes with 4G VoLTE, WiFi 802.11ac dual-band (2×2 MU-MIMO ), Bluetooth 5, GPS/GLONASS/Beidou, USB Type-C connectivity options. It has a fingerprint sensor on the front and comes with several audio enhancement features like Dual Smart PA, Hi-Fi Audio and dual Speakers. It comes with a SHARK key for high performance gaming mode. It measures 161.6×75.4x 9.25mm and weights 190 grams. Previous articleSamsung SM-G8850 TENAA certified with iPhone X like vertical camera, Galaxy S9 Mini ?